"Now is the best time to be in Indian cinema. We are entering into a golden period. Female actors are dominating our industry. Look at films like ‘Veere Di Wedding’, ‘Raazi’ and ‘Manikarnika: The Queen of Jhansi’….all of these are women-oriented films. "Time has changed now… Filmmakers have started making strong roles in their films for women," Tisca told IANS over phone. 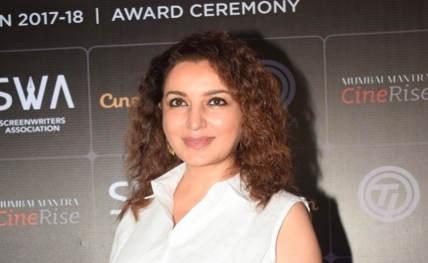 Tisca, who debuted in Bollywood with "Platform" in 1993, made a name for herself with power-packed performances in projects like "Taare Zameen Par", "Firaaq", "Qissa: The Tale of a Lonely Ghost", TV show "24" and "Ghayal Once Again". She even stepped into the producer’s shoes with a short film "Chutney" for which she garnered a lot of praise from both critics and audiences. Currently, the 45-year-old is co-hosting Star Bharat’s "Savdhaan India", a show which aims to spread awareness about crime and keep people alert. Such shows are the need of the hour, she said, and added: "This show shows what human beings can do which is beyond one’s imagination. It is necessary to create awareness among youth and to help them to deal with vulnerable and uncertain situations in life."